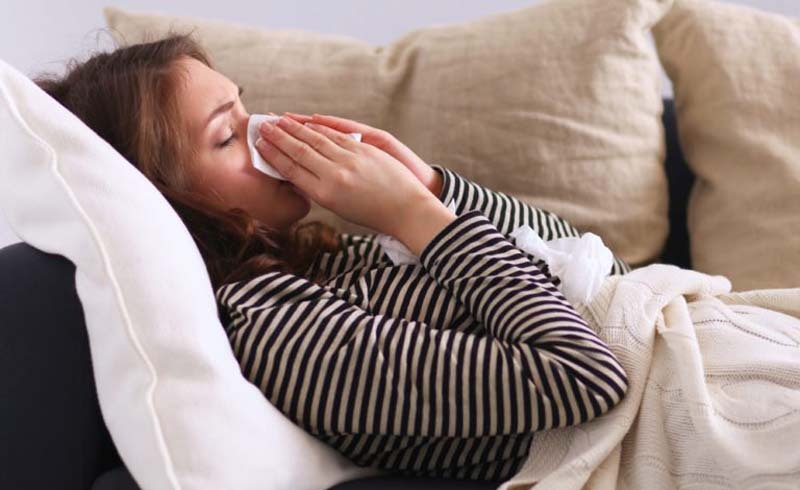 Dr. Sonpal says the first signs of flu can include feeling feverish, having chills, a cough, runny or stuffy nose, body aches, headaches, fatigue, and vomiting or diarrhea (though the last two tend to happen more in children than adults). If you have one or more of these symptoms talk to your doctor to see if you have the flu and follow these early treatment tips. If you are starting to feel like you might have a cold or the flu, washing your hands can reduce the risk of spreading the virus to others. “This is an easy way to stop the spreading of germs,” Dr. Sonpal says. In fact, a study published in Tropical Medicine & International Health found that good hand washing hygiene reduced the risk of respiratory illness by 16 percent. Stop exercising and try not to over-exert yourself, recommends Dr. Sonpal. Trying to keep up with your regular routine will only dehydrate you and make your symptoms worse. “Remember there is no quick fix for the flu, and many people don’t feel completely back to normal for about three weeks,” Dr. Sonpal adds. “Antibiotics don’t kill viruses,” Dr. Sonpal says. “Although many people believe their favorite antibiotic will cure any illness they have, that just isn’t the case.” If you catch your flu within the first 48 hours of infection, your doctor may prescribe Tamiflu, an antiviral medication that can shorten the lifespan of your flu; however, says Dr. Sonpal, in most patients it only saves about one day of illness. What will ease your flu symptoms are OTC pain relievers, such as ibuprofen or acetaminophen, especially if you have a fever. It can help reduce your symptoms and provide flu relief. Dr. Sonpal says to use these as directed on the label, as getting the proper dosage is key to relieving body aches, headaches, and pain symptoms related to the flu. While you need physical rest to overcome the flu, giving your brain a break could help you recover more quickly. A study published in Brain, Behavior, and Immunity found that a protein produced by the brain during sleep helped speed up the recovery of mice with influenza. “If you are able to eat, stock up on foods that can help boost your immune system,” recommends Dr. Sonpal. This includes yogurt, fruits like blueberries and vegetables like broccoli. For those feeling nauseous, chicken soup is another option, Dr. Sonpal adds. “Chicken soup can help reduce inflammation, clear up mucus, and ease congestion,” he says. Water is always best to keep you hydrated and help loosen up mucus, but any liquid without caffeine will do, says Dr. Sonpal. If you’re starting to have water fatigue he recommends Gatorade, ginger ale, diluted juice, broth, or decaffeinated tea. Coffee and tea with caffeine can dehydrate you, says Dr. Sonpal. 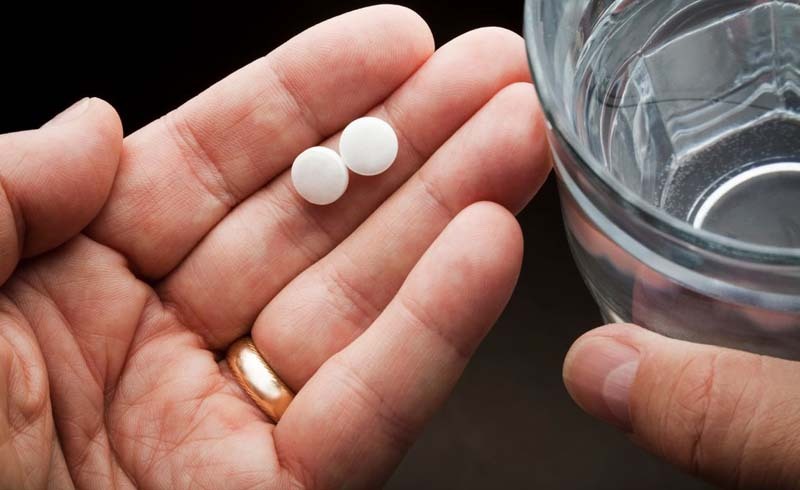 Dehydration may make your symptoms feel worse and your sickness last longer. And while this probably goes without saying, alcohol has the same effect: Though it may be tempting, that hot toddy isn’t going to help you feel better. Stay home from work, school, and all social events. The Centers for Disease Control and Prevention (CDC) recommends that you steer clear of others for at least 24 hours after your fever is gone. Flu symptoms can start anywhere from one to two days after the virus has entered the body, meaning you could be spreading it to others before you even realize you have it. This makes it even more crucial to reschedule events the moment you start to feel off. Even if you isolate yourself, chances are friends and family will come by to check on you. Make sure they remember to wash their hands—or at the very least use hand sanitizer. It’s a good idea to have a couple of bottles of hand sanitizer prominently placed around the house so your guests can disinfect and prevent carrying flu germs to others.